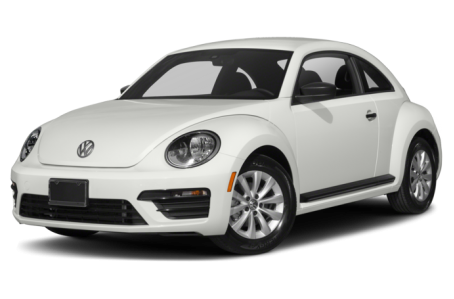 The 2019 Volkswagen Beetle enters its final year of production before taking another indefinite hiatus. It comes as either a two-door hatchback or a two-door convertible. Maximum cargo capacity is 29.9 cubic feet with the rear seat folded down. Both the hatchback and convertible body styles have four trim levels each: S, Final Edition SE, SE, and Final Edition SEL. It is powered by a standard 174-hp, turbocharged 2.0-liter four-cylinder engine mated to a six-speed automatic transmission. Fuel economy for the Beetle is an EPA-estimated rating of 26/33 mpg city/highway.